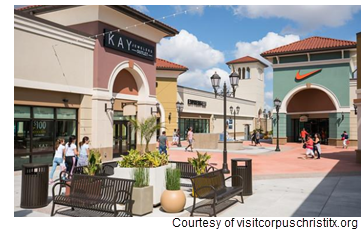 ​​​ ​ROBSTOWN – The Outlets at Corpus Christi Bay were sold this month to Oklahoma-based Real Estate Holdings LLC for more than $42 million. It's been less than two years since the Outlets first opened their doors before being sold at auction on the steps of the Nueces County Courthouse. Property management company Woodmont plans to bring entertainment and eating establishments to the mall as well as nontraditional outlet tenants to increase traffic.